SmarTrack / Global Telemetrics is the multiple award winning stolen vehicle tracking brand, winning 21 Industry Awards within 12 years. SmarTrack devices use the latest in tracking technology having built in aerials making the tracker harder to trace if your vehicle is stolen. Our tracking devices (trackers) use GPS, GSM and GPRS to send information to the to the Secure Global Telemetrics Control Centre. 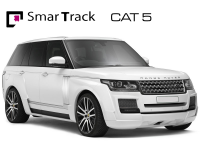 The Stolen vehicle tracking units we offer from Smartrack are Thatcham Approved ( Cat 6 and 5 devices ). We are fully mobile and come to you in the local Essex area. 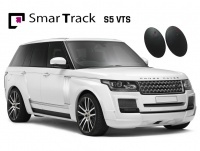 We supply and fit Smartrack Car Trackers in Essex and all local area’s such as…. Basildon, Brentwood, Romford, Hornchurch, Barking, Dagenham, Ilford, Thurrock, South Ockenden, Billericay, Grays, Southend, Southwoodham ferrers, Chelmsford.